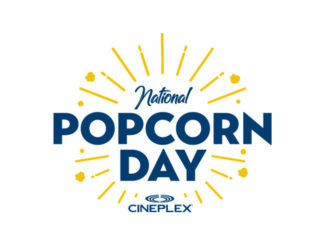 For the eighth consecutive year, Cineplex theatres across Canada will host Cineplex Community Day on Saturday, October 27, 2018. 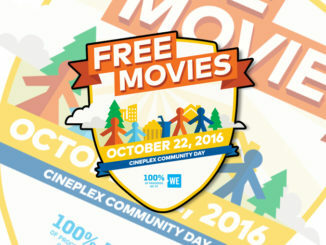 During the event, movie-goers can stop by their local Cineplex theatre for a morning of full of free films in support of WE Charity. 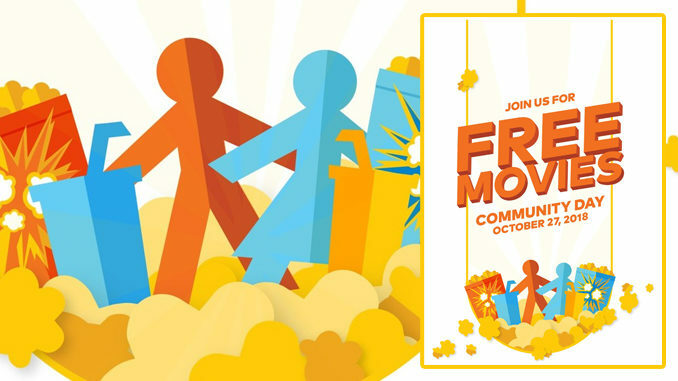 This year’s line-up of free films includes Sherlock Gnomes, Daddy’s Home 2, Transformers: The Last Knight, Teenage Mutant Ninja Turtles: Out of the Shadows and Book Club. 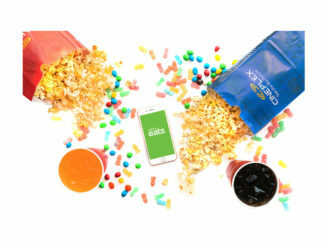 Additionally, movie-goers can enjoy popcorn, soft drinks and select candy in exchange for a $2.50 donation to WE Charity, all participating theatres will also be selling a variety of movie-themed merchandise including plush toys, action figures, keychains, accessories, drink toppers, popcorn holders and more. Doors open at 9:00 a.m. local time on Saturday, October 27, 2018, with seating available on a first-come, first-served basis. Movies will start at 9:30 a.m. with all theatres returning to regular programming in the afternoon. Here’s the full list of participating theatres.